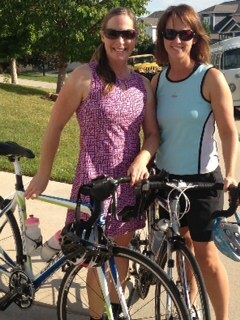 This year I am lucky enough to have Dana Ouderkirk riding with us. Together we are riding for The Wild Animal Sanctuary located here in Colorado. This is an amazing cause. Please see the link below for more information on such a great place. Thank you so much for your support, no amount is to small. We hope to see you along the route cheering us on! Kristine Stirling 8/28/2013 $25.00 Good luck Amber! Thank you for representing the SW office! David Hankins 8/28/2013 $25.00 Enjoy the ride!!!! Judy Ouderkirk 8/30/2013 $20.00 Ride like the Wind, girls. Johanna, Elizabeth, Erik and I will be cheering for you. Cathy Jones 8/31/2013 $20.00 Good Luck Ladies! Dr. Erik Ouderkirk 9/5/2013 $50.00 Keep those FEET pedaling. Zoe Macaulay 9/6/2013 $50.00 Good luck Amber! Tom Martinez 9/6/2013 $50.00 Thanks for your involvement! Have a great ride! Swan Realtor Group 9/6/2013 $25.00 Go show them how it is done Amber! dorie lisowska 9/8/2013 $25.00 Go Amber and thank you! Jason Simon is 9/8/2013 $40.00 Sophia says-Go mommy go! Misty Popejoy 9/9/2013 $25.00 Way to go, Amber!! Kathy Recker 9/10/2013 $25.00 Whoops, had troubles, ha, well hope your having a great ride!!! !